Monumental Step Forward in Clean-up of Park. Islip, NY - January 16th, 2015 - The Islip Town Board yesterday received notice from the New York State Department of Environmental Conservation that the Town’s revised Material Removal Work Plan for Roberto Clemente Park has been approved. The Town resubmitted its plan on January 7th, working closely with the NYSDEC during its revision process in hopes for a quick turnaround and approval. The final plan incorporates the comments, perspectives, and opinions, made by the public and regulatory agencies during a required comment period in October. The revised plan calls for the installation of a two additional groundwater testing wells, in addition to the three that have already been installed. Additional air monitoring, better defined soil sampling locations, and additional end-point sampling will help ensure that the community is protected and that all of the contaminated fill is removed entirely. The revised plan also calls for a more stringent selection process for determining which contractor will ultimately be hired through a public procurement process. Islip’s approved plan will welcome community participation through enhanced public dialogue and information sharing. “There is still a lot of work to be done at Roberto Clemente Park, but with a plan firmly in place we can soon begin removing the contaminated material while safeguarding the public,” said Councilman John Cochrane, Jr. The next step in the remediation process is to advertise for a public bid to secure a contractor that will perform the actual removal of contaminated material. 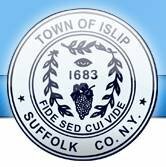 The remediation plan and the NYSDEC approval letter can be viewed on the Town of Islip website by clicking here. Subject: LongIsland.com - Your Name sent you Article details of "NYS DEC Approves Islip Town’s Plan for Remediation of Roberto Clemente Park"